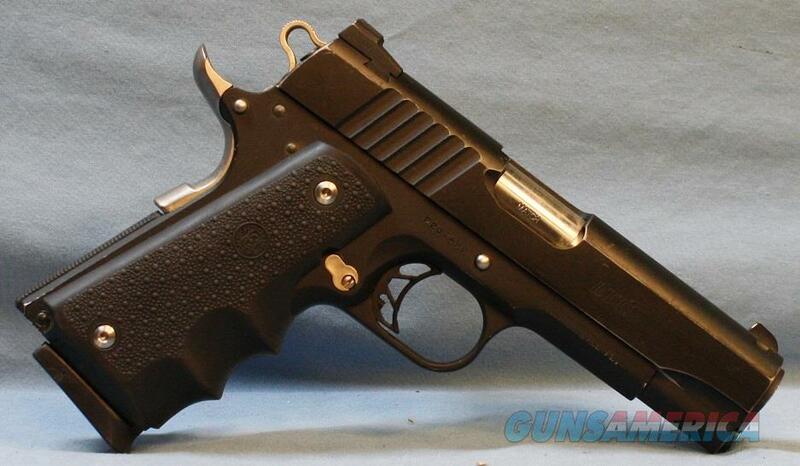 Description: Para Ordnance 1911 LTC Semi-Automatic Pistol, 45 ACP with 4" barrel, Blue finish, Hogue rubber Grips and Hogue smooth black flame grips, 3 dot combat sights, one 8-round magazine, gun is used in box. US Postal Money Order or Certified Check only. See ADDITIONAL INFORMATION for fees and polices.